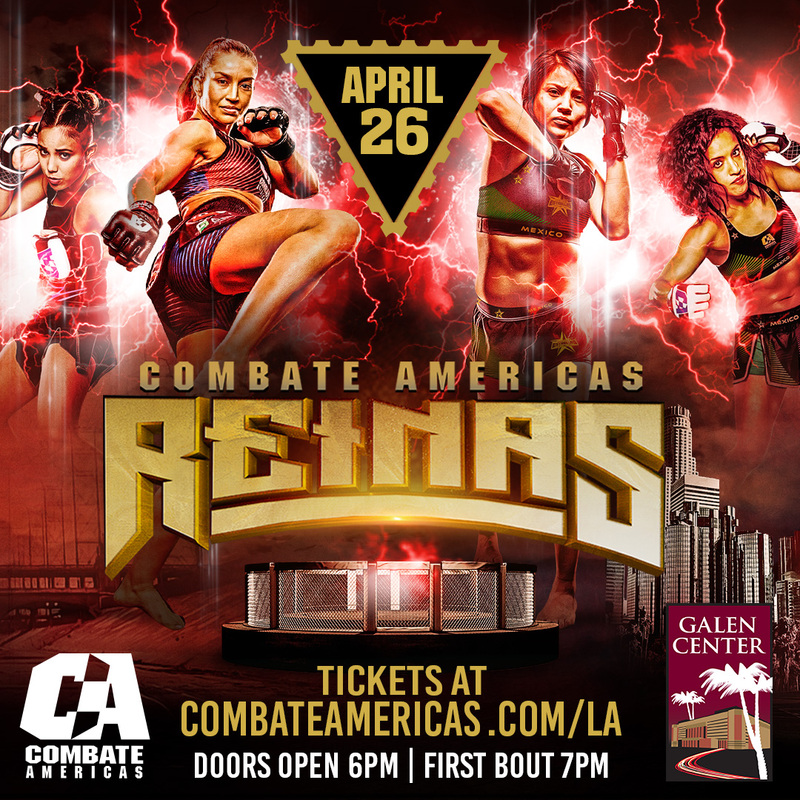 LOS ANGELES – March 28, 2019 – Combate Americas today announced four, new featured Mixed Martial Arts (MMA) bouts, including a women’s atomweight (105 pounds) matchup between Paulina “Firefox” Granados (4-3) and Gloria “Gloriosa” Bravo (4-4), for its return to Los Angeles with a star-studded event at Galen Center on Friday, April 26, live on television in Spanish in the U.S. on Univision (12 a.m. ET/PT) and UDN (12 a.m. ET/9 p.m. PT) and in English in the U.S. and Canada on DAZN (10 p.m. ET/7 p.m. PT). Priced from $20, tickets for “Combate Americas: Reinas del Combate” are on sale at CombateAmericas.com/LA. The show will be headlined by a previously announced strawweight (115 pounds) showdown between 21-year-old undefeated knockout artist Melissa “Super Mely” Martinez (5-0) of Mexico City, Mex. and Caroline “Taz” Gallardo (3-2) of Chicago, Ill. via Santiiago, Chile. Fighting out of San Diego, Calif., Granados is a 31-year-old native of Corpus Christi, Texas and a member of world-renowned fight squad Alliance MMA where she has trained with a host of other female standouts in the sport, including Jessica Penne and Angela Hill. The 32-year-old Bravo of Santiago, Chile has earned all four of her professional career victories inside of two rounds and by way of armbar submission. 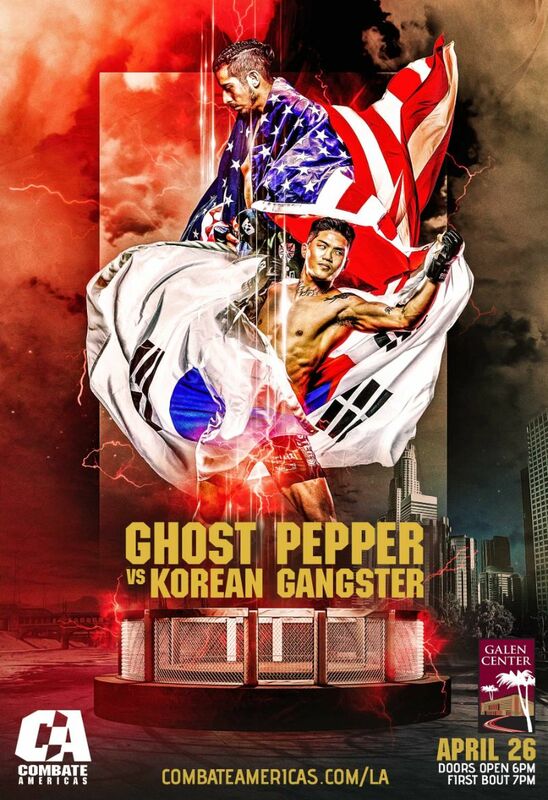 Also announced today was a lightweight (155 pounds) contest between Erick “The Ghost Pepper” Gonzalez (9-3) and “The Korean Gangster” Won Sik Park (14-7-1, 1 NC). Park, a 32-year-old native of Ulsan, Yeongnam, South Korea, made his Combate Americas debut in stunning fashion, scoring a monstrous, first round (1:48) knockout (flying knee strike and punches) on Jorge Luis Medrano in Monterrey, N.L., Mexico last November 17. In other action announced today for the Combate Americas card in Los Angeles, featherweight (145 pounds) knockout artist Jose “Froggy” Estrada(5-2) of Oxnard, Calif. will collide with undefeated Adrian Guzman (3-0) of Parlier, Calif. In flyweight (125 pounds) preliminary bout action, Oscar “Jacare” Suarez (4-2) of Tenerife, Spain will battle “Malicious” Mikey Reyes (5-4) of Oxnard. 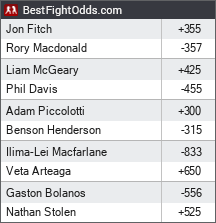 In previously announced, featured strawweight action, Kyra “Mogwai” Batara(7-4) of Las Vegas, Nev. will face off with former The Ultimate Fighter reality television series contestant Angela “Your Majesty’ Magaña (11-10) of San Juan, P.R. In undercard action announced previously, undefeated Charisa Sigala (4-0) will meet Francis “Hitgirl” Hernandez (2-2), while unbeaten Yasmine Jauregui (1-0) of Tijuana, B.C., Mexico will face off with Daniela Espinosa (0-0) of Lake Forest, Calif.